Some strategic analysts believe the Ukrainian military is not prepared to fight Russia while others think that a full-scale invasion would result in a long, drawn-out conflict. The opinion of Ruslan Pukhov, head of the Centre for Analysis of Strategies and Technologies, is at odds with that of Felgenhauer. In Pukhov’s assessment, Ukrainian troops would be unable to put up armed resistance to the Russian army and would also not be inclined to do so. Igor Korotchenko, the editor-in-chief of the magazine National Defence, said that even if they are ordered to defend Ukraine against a Russian invasion, Ukrainian army and law-enforcement agencies do not have to follow any orders of the new Ukrainian authorities. He also called for caution when reading media reports of Russian military action in Ukraine, as the members of Russia’s Black Sea Fleet are already in the country under a long-standing agreement and so far no other Russian military units have been sighted in Ukraine. “An information war is being waged against Russia and all reports should be treated with caution. 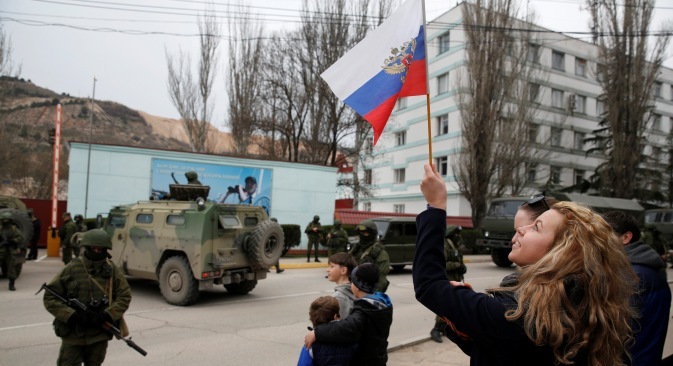 The fact remains that Putin has been granted a lawful right to send troops to Ukraine. Let’s wait for some official steps from the Defence Ministry. As regards a possible military operation, I think it will be only in Crimea, although I do not rule out a broader involvement either. Everything will depend on how the situation will develop,” he said.